When you’re the one responsible for critical infrastructure assets within the data center, you’ve got to be quick to respond and readily available to take care of any issues that might surface. You only know of the issue after the fact. You’re made aware once someone has reported the issue. Now you need to find out the location of the server – Where is the issue stemming from? In case of power, you need to gain access to the PDU, enter those credentials (that you might have forgot), identify which outlet the device is plugged into, and then initiate the power cycle to that outlet. You might not even know what happened to the device in the first place. All these steps take time, time which is of the essence especially when it comes to critical infrastructure assets. Uptime is of the utmost importance. This is why Nodegrid is trusted by some of the data center world’s largest companies. Nodegrid’s Data Logging abilities allow you to collect a wide variety of data, such as key input, console messages and errors, and console usage. 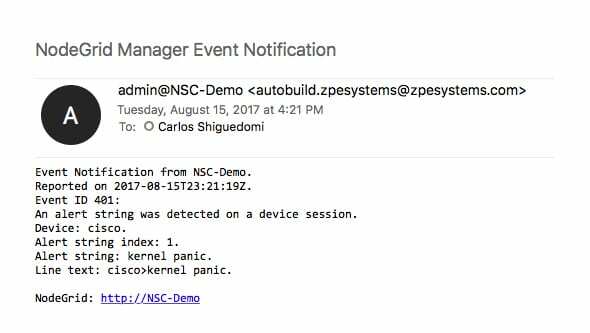 Set actionable string alerts and notifications whenever a known problem occurs – Choose any or all of the following notification types: e-mail, text, syslog, or snmptrap. Nodegrid allows you to take actions based on string matches and console output. A recurring issue pops up, if its string matches, your selected script will be executed to alleviate the problem. Automate your fixes to save time and money. Data log is also sent to you to further investigate the issue and check for anomalies. If data logging, alert notifications, and actually doing something with that information through actionable data is something that’s important to you, contact a ZPE representative to find out how we can help you out. 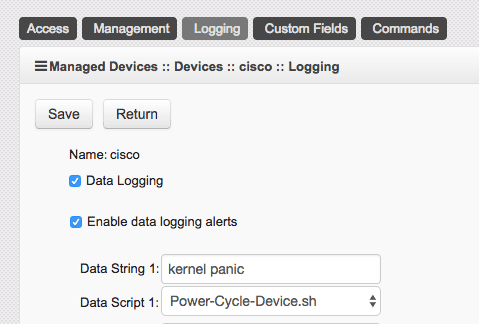 Share the post "Data Logging, Alert Notifications and Actionable Data"